On 18 May 2015 a small group of Norfolk Island people came together to set in motion an action plan to ensure our rights are restored and protected thereafter. 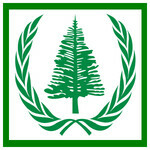 The group has adopted the title of Norfolk Island People for Democracy (NIPD). You are invited to be a supporter and be part of a strong team to regain Norfolk Island’s rightful and democratic voice.